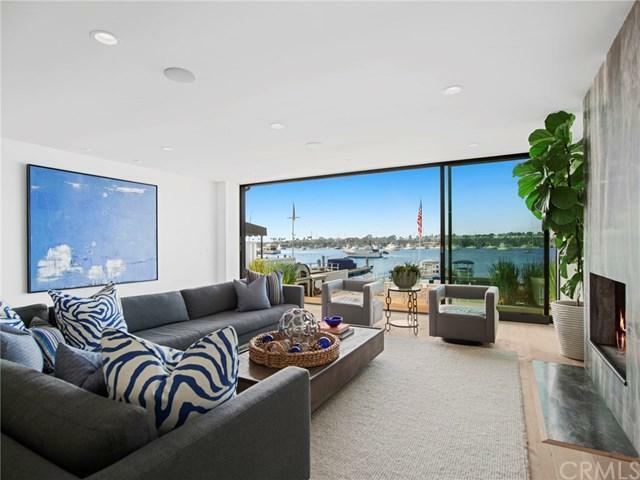 Light-infused contemporary architecture meets unparalleled bay front living at Balboa Peninsula Point+GGs most coveted address: East Bay Avenue. 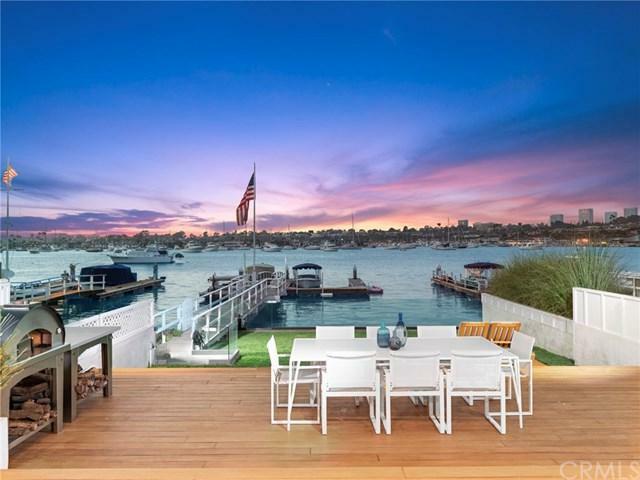 With a clean design aesthetic and an air of understated elegance this heirloom home on Newport Harbor is highlighted by engaging water views and inviting living spaces. Gutted-to-the-studs and completed in 2017 the spacious four bedroom, three and one-half bath home is accented by warm French oak flooring, custom stonework, and a soothing color palette that lends itself to a relaxed waterside lifestyle. From the dramatic light-filled entrance to the progression of open-format living, dining, kitchen and family room spaces the interior flows seamlessly to the exterior. Stunning floor-to-ceiling walls of glass open to a spectacular outdoor dining terrace and an unusual deep bay front grassy yard. Ascending the modern cable staircase to the second level the master retreat with adjoining spa-inspired bath boasts panoramic harbor views. Adjacent to the master suite resides three thoughtfully conveyed guest accommodations. Sited on one of the most preferred locations on the bay front, with captivating water and city light views that are unobstructed by vessel moorings, the home enjoys a private dock for craft of approximately forty-five feet and Duffy side tie. An incredible opportunity to enjoy the bay front lifestyle in a newly reconstructed turn-key home. Sold by Andrew Mcdonald of The Agency.